Did you miss out on the first season of the Supergirl TV show, when it aired on CBS? 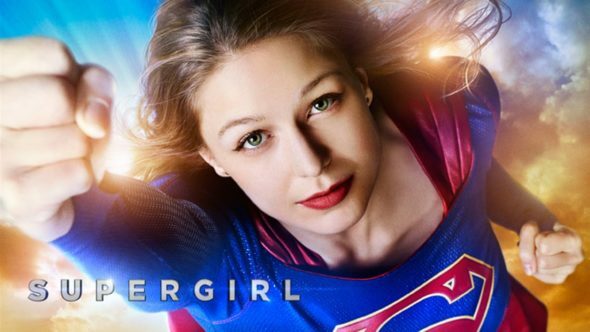 The CW, which renewed the series for its second season, will broadcast all of Supergirl season one, in two-hour blocks on Mondays, beginning August 1, 2016 from 8:00 to 10:00pm ET/PT. Watch the “Supergirl: Back to Back trailer,” below. Supergirl season two premieres Monday, October 10, 2016 at 8:00-9:00pm ET/PT. The cast includes: Melissa Benoist, Calista Flockhart, Chyler Leigh, Mehcad Brooks, David Harewood, and Jeremy Jordan. Tyler Hoechlin joins the season two cast as Superman. TV’s classic Wonder Woman, Lynda Carter, has been cast as President of the United States. Watch The CW’s “Supergirl: Back to Back” trailer. Get the details from this CW press release. July 6, 2016 (Burbank, CA) – The CW Network announced today it will broadcast the entire first season of SUPERGIRLon Monday nights starting August 1, with two episodes each week until the new season of SUPERGIRL premieres on October 10 (8:00-9:00pm ET/PT). Do you plan to watch the first season of Supergirl, this summer on The CW? What would you like to see happen in the second season? Let us know, below. More about: Supergirl, Supergirl: canceled or renewed?